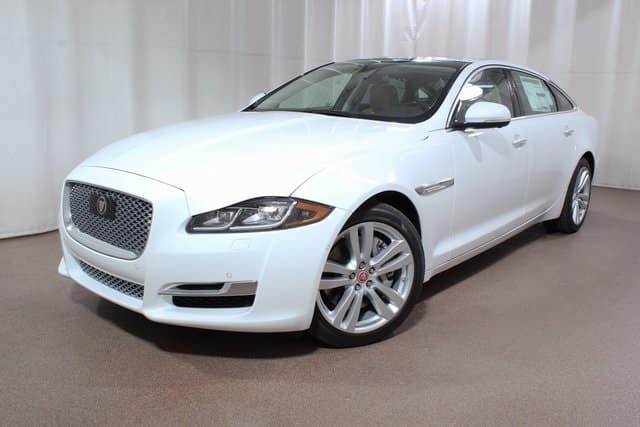 If you are looking for a luxurious, comfortable, and feature-filled vehicle to enjoy your summer travels, this 2017 Jaguar XJ XJL Portfolio AWD is perfect for you! Enjoy a variety of exciting features like Adaptive Speed Control, 360 Degree Parking Aid, Surround Camera System, InControl Navigation, and InControl Protect. Your favorite music will sound amazing on the 825W Meridian Premium Surround System! Be comfortable in any weather with the heated and cooled front bucket seats with massage feature! This eye-catching sedan has 19″ TOBA 5 Double Spoke Alloy Wheels, chrome wheel locks, and hand-painted pin striping. This Jaguar is priced to sell quickly at only $78,989! This is the last of our NEW 2017 Jaguar XJ XJL inventory so once it is gone, it is gone. Don’t miss out on this super deal and your opportunity to drive this innovative and luxurious sedan.